Posted on February 5, 2019 at 9:54 pm. 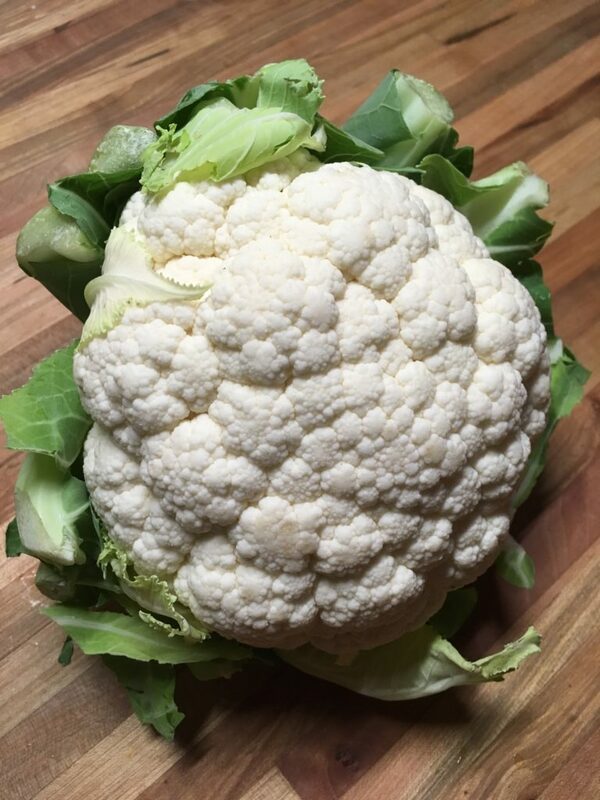 I am always telling people to eat the rainbow of fruits of vegetables, but with cauliflower, I make an exception and say, yes, indulge in this yummy white veggie! Cauliflower is one of my favorite vegetables and in the past has been very underappreciated. 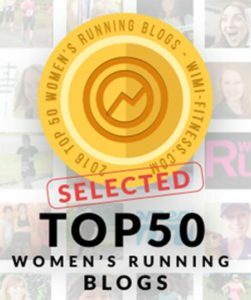 Recently, however, it is having its moment in the spotlight. Cauliflower is a member of the brassica family, which includes other cruciferous, cancer-fighting veggies such as broccoli, Brussels sprouts, cabbage and kale. This group of veggies is so good for us, being anti-inflammatory, rich in anti-oxidants and full of fiber. Cauliflower is also so versatile because it can be used in so many different types of preparations—it is very chameleon-like. This veggie is great roasted, steamed, mashed, or stir-fried. Cauliflower rice, cauliflower pizza, and mashed cauliflower are just some of the cool things you can create with a head of cauliflower. I want to share two of my favorite, creative and healthy ways to use cauliflower—and just maybe turn any cauliflower haters out there into cauliflower lovers! 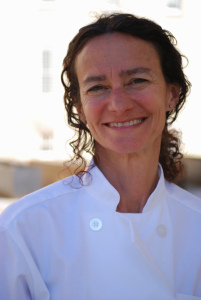 A few years ago, while working at a Whole Foods Market as a healthy eating specialist, I helped educate staff members on healthy food options. (Not everyone that works at Whole Foods is a healthy eater; the mac and cheese was one of the more popular staff items on the hot bar.) So for one of my lunch-and-learn sessions, I decided to make Buffalo Cauliflower Wings (okay, I know technically cauliflower doesn’t have wings), since Buffalo chicken was a pretty popular item among the staff. I put a sign up saying “’Hot Wings’ in the break room today” and then set up my station. I didn’t tell them what they were eating and once they realized it wasn’t chicken, they were still a big hit with most of the staff. 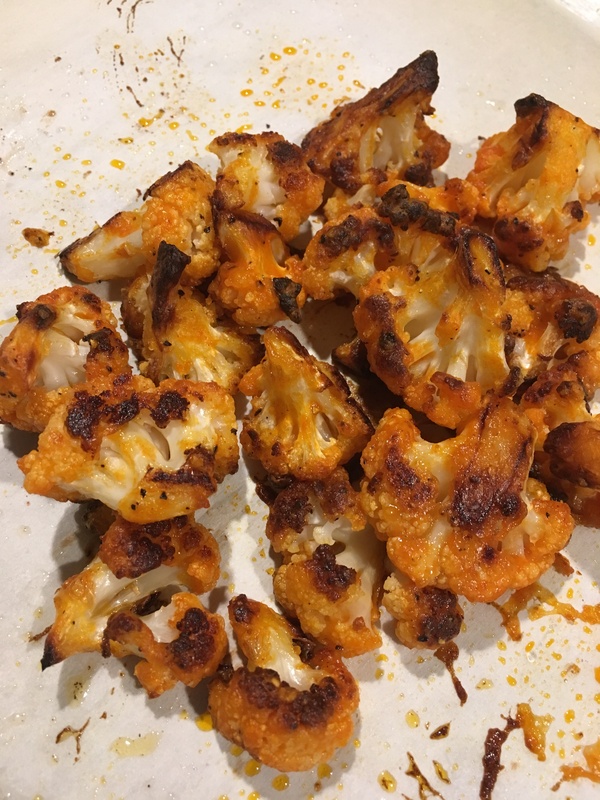 Give my Buffalo Cauliflower a try, maybe for your next game day spread. Preheat oven to 425 Degrees. Trim the head of cauliflower into appetizer-sized bites and set aside. In a bowl, stir together water, flour and garlic powder. Dip each piece of cauliflower into the batter and allow the extra batter to drip off. Place on a greased or sprayed baking sheet. Spray the tops of the florets with cooking spray. Bake for 20-25 minutes until crispy. Melt the butter/oil in a saucepan over low heat and add the hot sauce and stir. Toss cooked cauliflower pieces with the sauce. Return to the oven for 10 minutes if you like them a little crispier. And feel free to serve with blue cheese dressing and celery if you like! 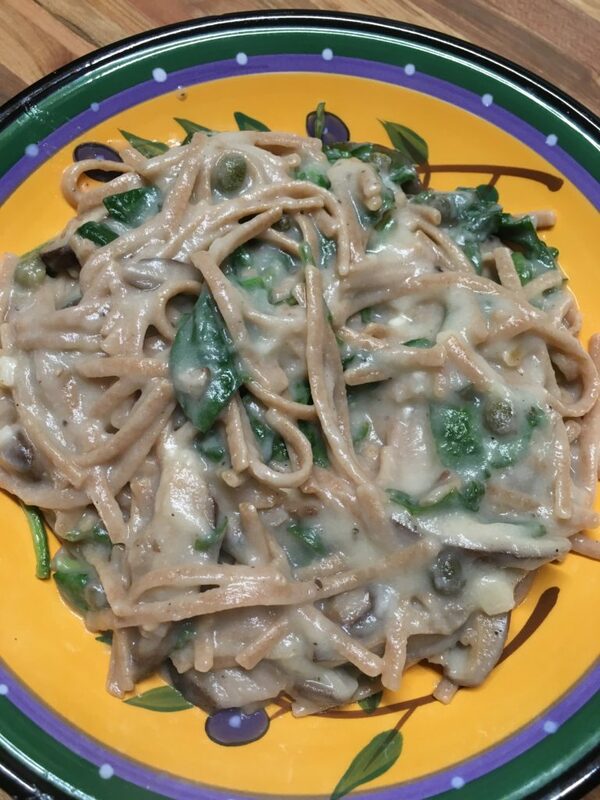 The second recipe is a great twist on a cream sauce. When it is boiled and pureed, cauliflower can be a great substitute for milk or cream. It is also a great way to sneak some more veggies into your day. The basic “sauce” is vegan, but depending what you choose to add, it can stay that way or not. I have used it many different ways. It makes a great substitute in soups or macaroni and cheese for the dairy and then you can still add some cheese, or keep it vegan by adding some nutritional yeast. 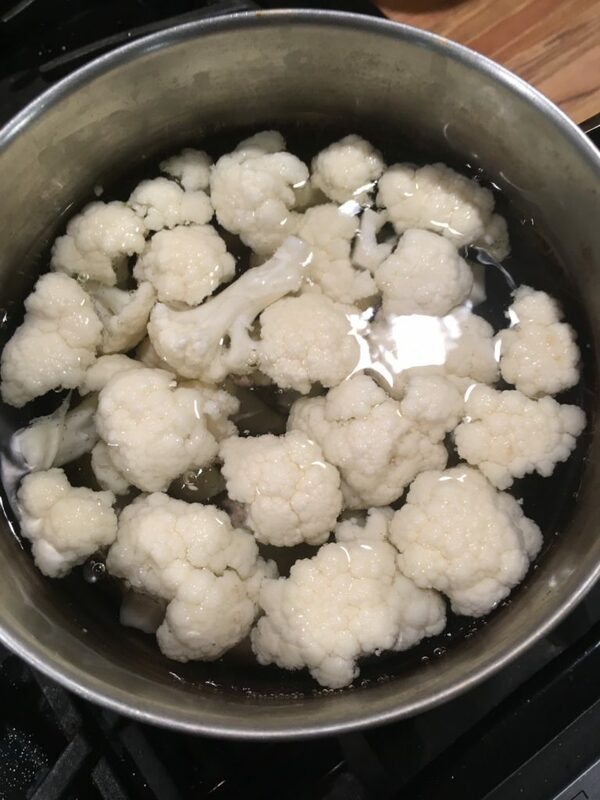 In a medium saucepan, cover the cauliflower with vegetable stock or water and simmer, partially covered, until really tender, about 20 minutes. Blend the cauliflower and stock until smooth with a blender or hand blender. Add more water if it is too thick. While the blender is running, slowly pour in olive oil to emulsify. You can use this as a creamy sauce, warm or cold. Okay, now you can take this sauce and make macaroni and cheese or my fancy Cauliflower Alfredo. Cook pasta according to package directions. When you drain it, save a cup of the cooking water. Heat the olive oil in a large sauté pan over medium heat. Add the mushrooms and cook for a few minutes until they start to brown and then add the garlic, a little salt and pepper, and lower the heat a bit. 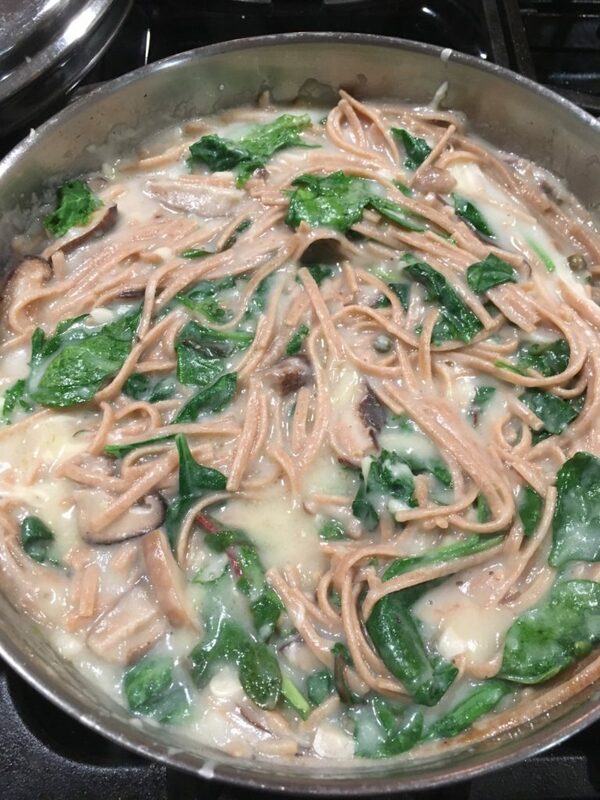 When the mushrooms and garlic are golden and cooked, add the sauce, pasta, greens, capers and heat everything through, stirring occasionally, about 2 minutes. If you need a little of the pasta water to thin it out you can add it here. When everything is all nice and coated and cooked, you can stir in the cheese if you are using, season with salt and black pepper to taste, and place in a serving bowl. And if you still want some more great cauliflower ideas check out these great recipes here.